My name is Markus Karrer Ostermayer. I am born in 1962 and live in Bottmingen, Switzerland. 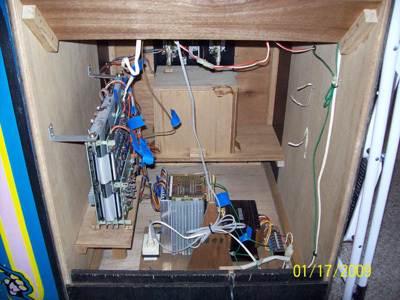 If you have questions about Radar Scope boardset repairs (not other hardware, sorry) i am always willing to help you. Maybe you can send interesting facts about Radar Scope, describe your hardware, send pictures of your machine...? 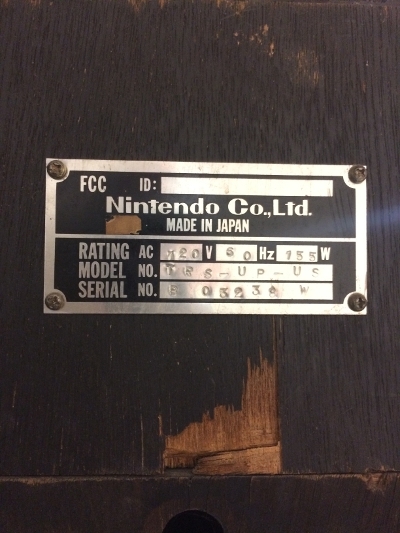 "... it was converted to some Jamma game, most likely Smash TV. The only thing that remains of Radar Scope was the wiring harness and half of the power supply. Other than the terrible t-molding, It’s in pretty good shape. 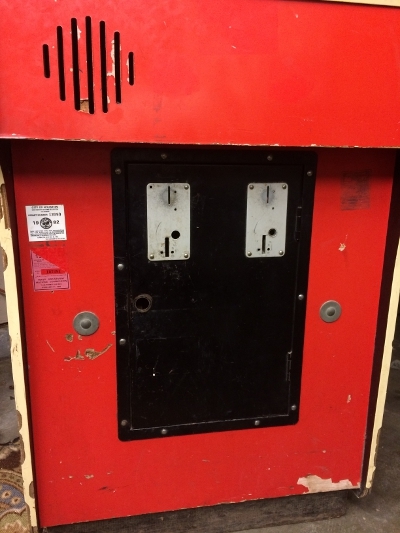 I plan on restoring this guy to his former glory…"
"... CamaroMurph from KLOV thinks it may be the earliest Radar Scope Cabinet ever: Serial Number: A01019 (19th ever made?) Coin Counter: 007216..."
"... so far there is not anyone else that has a r.s. cockpit [in his area]. ive attached some pics of the game as it looked when i bought it. 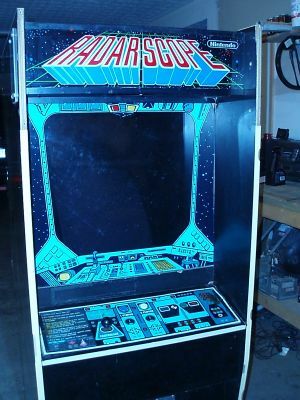 ive been repairing wood and holes, then repainting the whole cabinet..."
"Just purchased my first Radar Scope game. It is an upright. Interesting tag info. 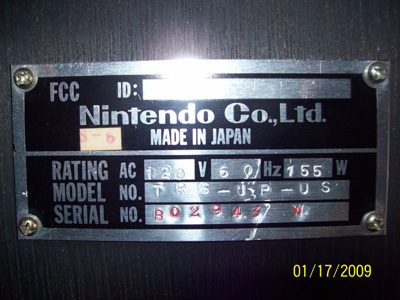 I have attached a picture of the tag"
Pretty high serial number considering all info to date suggests that there were none over B018XX. It also does not have the monitor in a box like all the others I have seen. 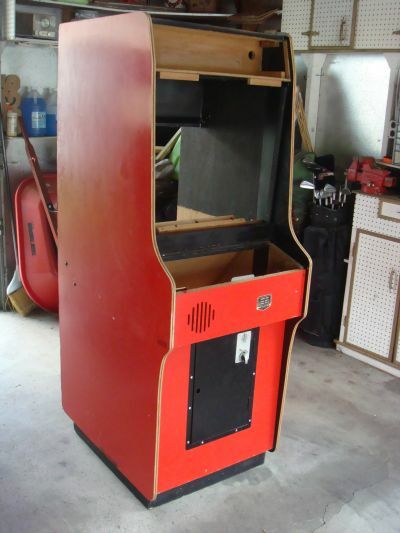 It has 2 carriage bolts through the side similar to my red DK." 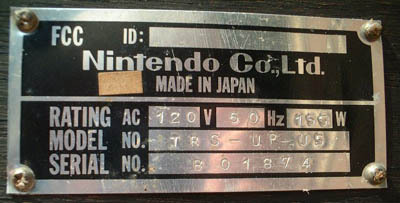 "I have been trying to put together a serial number list of Radar Scope and DK cabinets to put some sense to when all the different transitions happened. It is on KLOV in the general section under "Call for DK and Radar Scope tag/cabinet data". I have about 5 or 6 Radar Scope games in the list. A couple of UK games and the rest US. 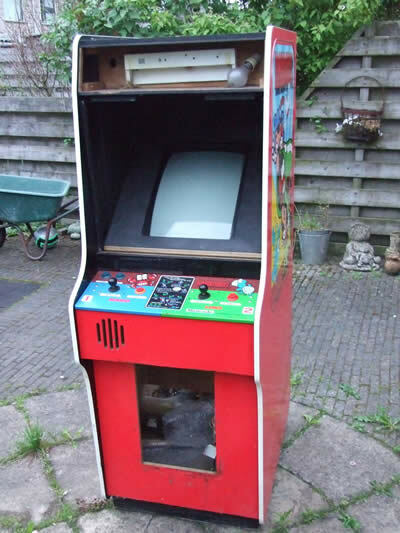 Nothing over B018XX until now"
"It was half-converted to Mario Bros. when I bought it, but the monitor was still in vertical position and has a light Radar Scope burn-in. I am completing the conversion to MB for now, because all the artwork is there already and in very nice condition"
came from the UK originally. 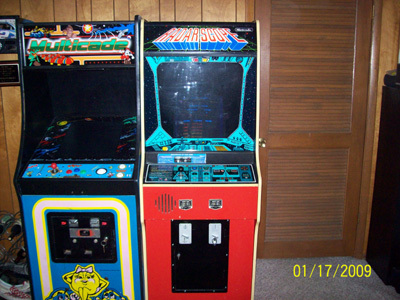 I already have an original MB PCB set (unknown if it's working) and there's a MB wiring harness on it's way to me from the US." 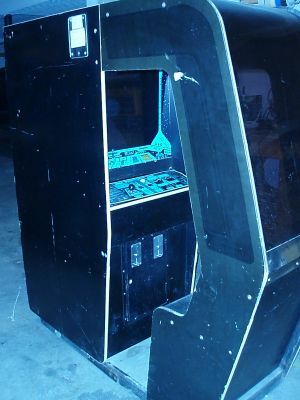 A lot of pictures and more info on this conversion project by Level42 can be found here in the ArcadeControls forum. 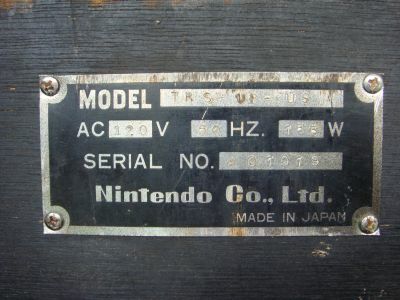 This is the (somewhat scratched) serial plate which reads "TRS HL A 03677"
If you have pictures of other plates and / or serial numbers i would like to hear from you in order to collect some data about the production numbers. crushed at... 153k+. I remember making everybody wait as I filled in the whole row with my name. TRS2-02-CPU C-02463 EPROMS on sockets A.W. TRS2-02-VIDEO V-02502 EPROMS on sockets. Missing color PROM replaced with GAL A.W. TRS2-02-CLK L-02637 5M ECL RAM was defective A.W. TRS2-03-SOU S-02316 EPROMS soldered in A.W. TRS2-03-CPU C-06529 EPROMS soldered in S.C.
TRS2-02-VIDEO V-06446 EPROMS soldered in S.C.
TRS2-03-CLK L-06156 5L ECL RAM needs to be replaced S.C.
TRS2-04-SOU S-06233 EPROMS soldered in S.C.
I80-02-SOU (labeled TRS-02-SOU) S-00905 EPROMS on sockets. With voice option M.K. TRS-02-ESS E-00890 EPROM on socket. Prototype wires M.K. TRS-01-CLK L-00552 Maybe I80-01-CLK ? M.K. 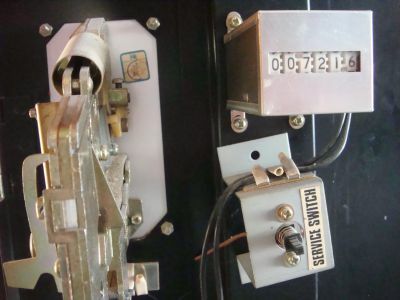 This is a serial plate of possibly one of the last radarscope uprights to be produced, which reads "TRS UP US B 01874". 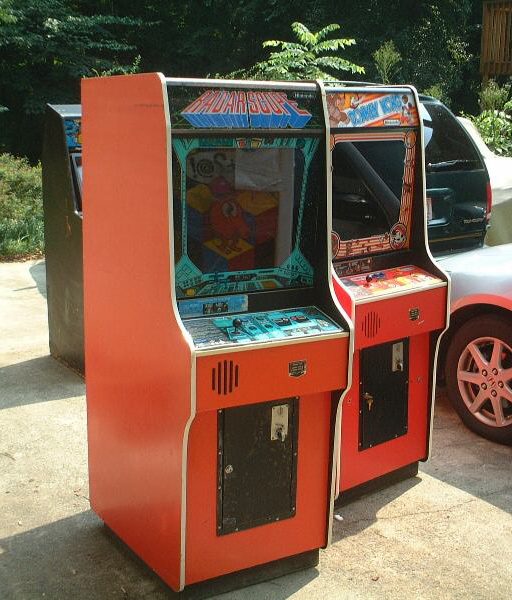 Here is a picture (263 K) of this machine standing next to one of the first "red" donkey kongs to be made. (both pictures shown by permission of Rory Blake, North Carolina, USA). 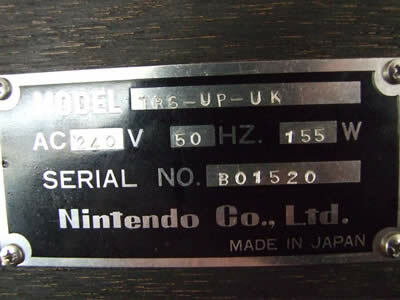 According to this source, the Radar Scope production amounted to something like 800 units (where serial numbers started at 01001) and the later Donkey Kong production to 75,000 units. 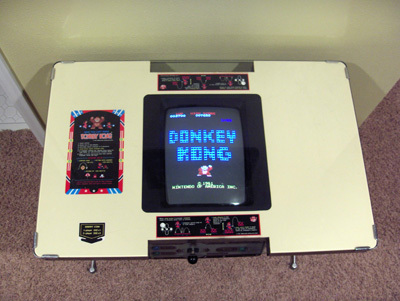 DK was designed to use the Radar Scope base hardware, including the red cabinets (making about 1200 "rare red cabinet" Donkey Kongs). 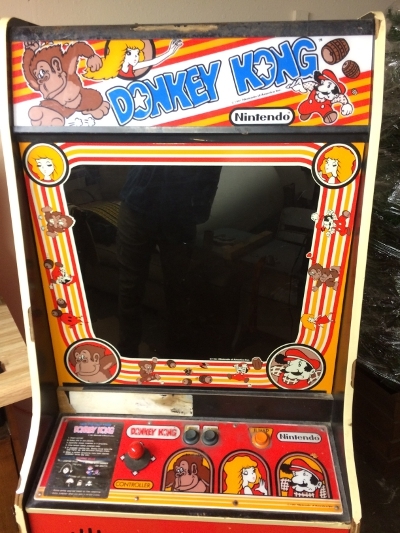 This is a Donkey Kong cocktail table in the exact same cabinet type the Radar Scopes were put in. 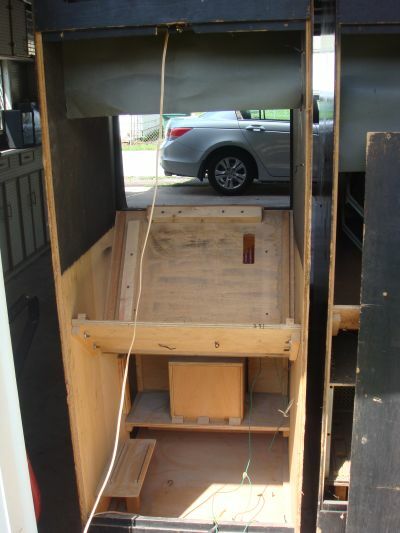 Here is a picture (189 K) of this machine with the top open. 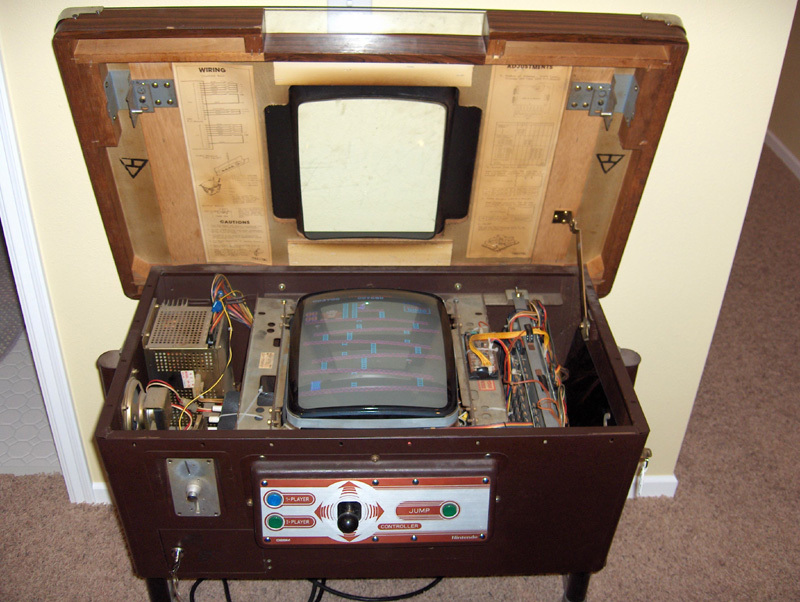 Except for the slightly larger monitor frame the design is not different from the Radar Scope cabinet insides. (both pictures shown by permission of Ed Mandy, Minnesota, USA). 2007-09-05 Repaired some defective links in video section.